Perched proudly in the adorable courtyard, this designer-like home is better than new, & w/o the wait! Gorgeous great room boasting custom built-ins w/soft close doors, plantation shutters, & modern style fireplace, all overlooking the contemporary kitch. w/Corian counters, beautiful backsplash, SS appl. & chic lighting. Upstairs is home to massive master ste. w/5 pc bath, scratched linen tile, 2 addtl bdrms, full bath, convenient lndry rm & fun desk nook! The professionally fin bsmt is your freeway to fun & frolic, incl: light & airy rec room, dry bar, bdrm #4, sassy bath, & ultra-universal enclosed office. Looking for outdoor play? The oversized sliding door takes you to the well-designed backyard complete w/a space for every need! Enjoy the warm summer evenings on your covered front porch overlooking the courtyard, or test your skills in the raised garden beds. Addtl upgrades: stunning flooring, posh paint colors, ceiling fans, & extra storage nook in the att. 2 car garage! 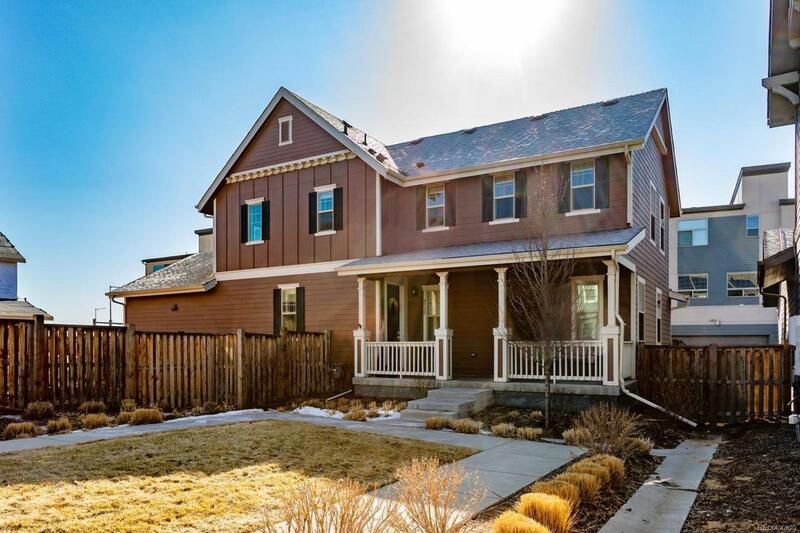 Offered by Stapleton Mortgage And Realty.